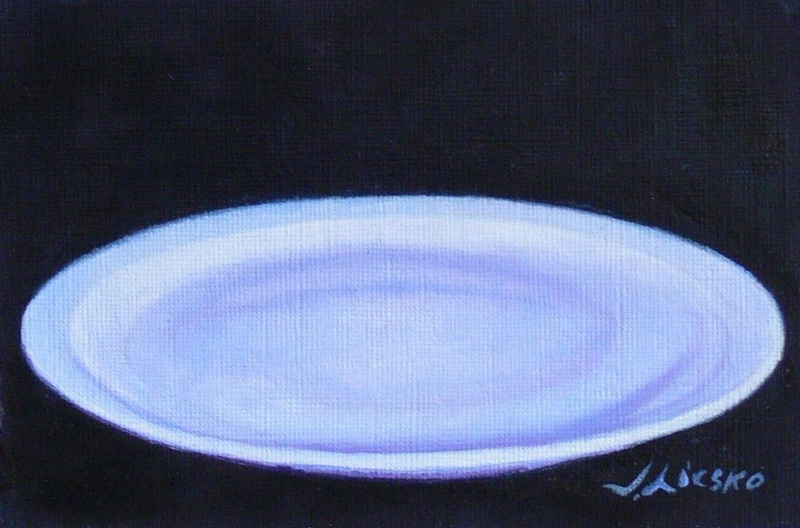 \\\\\"Hungry\\\\\" 2010 oil on paper 4\\\\\"x6\\\\\"
2010"Hungry" oil on paper 4"x6"
The G8 Summit was hosted in Muskoka, Ontario Canada in June 2010. Postcards to the G8 is a call to artists worldwide to inform the world’s most powerful leaders, through their artwork, of life’s daily struggles that need attention. All works are postcard size (4x6) on paper.